In 2013, India was the sixth biggest car manufacturing country in the world. Auto manufacturers in India produced a whopping 23.4 million cars in 2014-15. Maruti Suzuki India Ltd, the ruling company in India's car manufacturing market that sells one of every two cars in India made an observation in 2013 that the 63% of total buyers are first-time buyers. Buying the right car insurance in India is not an easy task and for those who are buying cars for the first time it is a a daunting task as they are not well-versed with various car insurance policies and their features. If you are one of those utterly confused first-time new car buyers here is a simple 5 point checklist to buy the best car insurance plan in India to make your life easier. 1. Which type of car insurance plan should you choose? 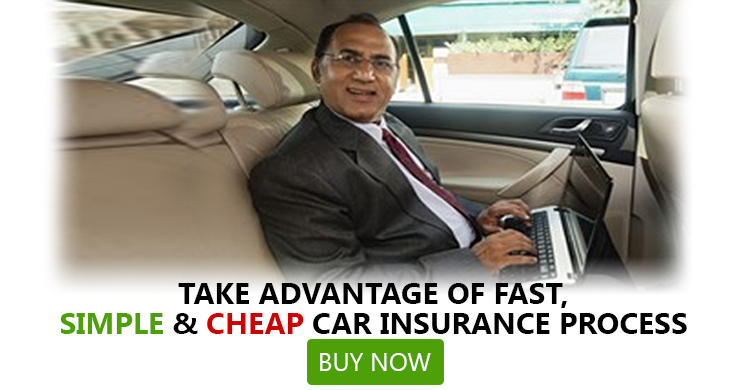 Generally, auto insurance plans in India are of two types; third party liability cover and comprehensive cover. The third party liability plan is a mandatory requirement in India and it covers car-owners from the liability of third party property damage and accidental injury and death. Comprehensive cover, on the other hand is an optional cover which provides financial protection to car owners in case their own vehicles gets stolen or damaged due to accident or unexpected perils such as flood, earthquake. The comprehensive plan also shields car-owners legal liabilities to third parties. Between these two types, you should opt for comprehensive car insurance plans for complete protection even though you have to pay a bit more for your car insurance premium. 2. Which factors influence the vehicle insurance premium? In insurance terminology, these influential factors are known as risks as car insurers underwrites these risks while calculating the premium. Typically, these risks are of 3 types. Newly introduced cars with advanced technology such as SUVs and commercial vehicles are considered as riskier than other cars and the premium for the insurance of these cars are also higher. Fuel type also makes an impact as the premium of petrol vehicles' insurance is less than the premium of diesel vehicles' insurance. 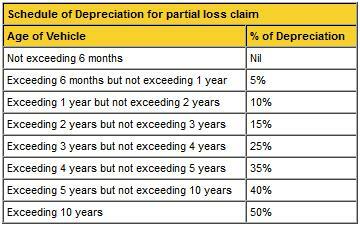 The area where your car is registered also have an impact on premium calculation. In India, there are primarily two zones. Zone 1 consists of 8 major cities in India and the rest of India is included in zone 2. The premium of cars registered in zone 1 is higher. The crime rate of the location also factors in the premium calculation. If you live in a place with high crime rate you have to pay out higher premium for your cars as well. The marital status and age of the driver also help determine the premium rate of a particular car. As per the survey, young males are more prone to road accidents than young females, so they pay higher premium. On the other hands, older females are more likely to be a part of road-mishap than older males. Hence, older males pay less premium for the same car compared to the females of same age-group. Marital status of the driver also plays a pivotal role as it is a proven fact that married people are involved in less number of road-mishap than non-married ones. Since these married people are considered as more cautious they are charged with lower premium amount. While these 3 parameters factor in determining the premium of new cars' insurance, there are two more factors that affect the premium rate at the time of car insurance renewal. If you make claims in a particular policy year your auto insurance premium will rise in the following year. At the time of car insurance renewal the premium is determined by the age and its depreciation. For all new cars up to 5 years the IDV is calculated by subtracting total depreciation as per the age of the car from the selling price of the car determined by the manufacturer. For cars older than 5 years, the present market value is considered as the IDV of the car. Here is a chart that shows the rate of depreciation in % over the 5 years. 3. Which factors help reduce the premium of the car policy? Now that you are aware of the factors that influence car insurance premium you should also be aware of the ways to minimize the premium. If you pay heed to these ways you may well save yourself more than a thousand or two at the time of purchasing a vehicle insurance. This feature has proved to be a bliss for those car insurance policyholders who instead of making small claims take care of minor car damages themselves. You can also opt for this feature and choose among 4 different slabs of voluntary excess amount up to Rs. 15,000 that you are comfortable with. Your insurer will pay out the claim once the amount surpasses the voluntary excess amount chosen by you. If you go for this feature you can lower the premium by as many as 30%. No Claim Bonus is another great way of reducing the premium. You can accumulate this bonus by not making any claim in a policy year. Your insurer will reward you for being a good driver by minimizing your premium in the next year. Even if you decide to sell your car, you can still transfer your NCB and pay reduced premium on the insurance of your new car. Discounts are also great ways of reducing premium amount. If your car is equipped with ARAI approved anti-theft features you are eligible for 2.5% discount on premium as the risk of getting stolen is low for your car. You can also avail discount on premium if you are associated with specific professions. Some specific occupations are considered as less risky so the premium of the car insurance for people associated with these professions is less. 4. Which additional covers are useful? If you make the most of all the means of reducing car insurance premium you can manage to save a substantial amount that you can invest in availing some really useful add-on covers. Zero depreciation add-on covers offer coverage for those parts of the car such as plastic and rubber that comprehensive plans don't cover entirely. Since most cars come with such parts it does make sense to opt for zero depreciation policy. Although this will result in increase of your car insurance premium you can manage the difference in amount by making the most of the before-mentioned means of saving on car insurance premium. While your comprehensive auto insurance plan offers personal accident coverage only for the owner you can further add more people with driving license by paying a nominal amount to avail personnel add on cover. .
5. Steer clear of common mistakes! By now you know how to reduce premium of car insurance plans and how to widen the coverage of an existing comprehensive plan. In this final step you will learn about the common malpractices so that you can stay away from them when you select a car policy. Many people in order to pay less for premium reduce the IDV of their cars. It would be a costly mistake if you do so because in case of an accident you won't get any coverage. On the contrary, you should be looking for a policy that provides maximum IDV on your car. Even though your premium would be a tad higher you will get coverage in the even of an accident. You have to keep in mind the validity period of your car insurance plan. Although, most car insurers in India provide a grace period after the expiry date but during that period you will have to drive without insurance cover which is very risky. Furthermore, if your policy lapses you might miss out on benefits like discounts that can reduce your premium. In total, the number of registered vehicles reached 172 million in March 2013. With this huge profusion of cars, a vast array of car insurance companies have also made their appearances to cater to the increasing car insurance needs in India. Finding the best car insurance plan is not too difficult if you know the right steps of selecting the best car policy. There is no better way than comparison to find out the best car insurance plan and GIBL.IN is the best portal to compare car insurance plans online. If you have bought a new car you it is high time you make comparison on GIBL.IN and buy the best plan in 5 easy steps. Why you should not continue the same policy for your car insurance? Why it is necessary to buy motor insurance plan if you own a car?